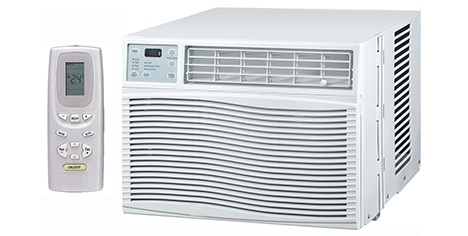 Window ACs, the condenser, compressor, evaporator and cooling coil and all the other parts come in a single box. You can easily fix it on a window sill space or wall. Star rated range of Window AC’s brings together the benefits of superior cooling, energy-saving performance and aesthetic looks, all in one unit. Available in 5 star, 3 star and 2 star ratings, these ACs offer you nothing but the best. With multi-fan speed to choose from, an auto restart with memory function, a filter check LED on the front panel and cordless LCD remote, these ACs are specially designed keeping all your needs in mind. The front panel of the indoor unit can be easily detached for periodic cleaning. This helps in the maintenance of the AC. Sleep Mode is an intelligent feature that ensures a comfortable temperature throughout the night. The user sets a particular temperature before sleeping. In the Sleep Mode, this user-set temperature increases for a short period of time. So even if the temperature outside dips later in the night, the user is comfortable and doesn’t feel too cold. The Sleep Mode helps save energy and also adds to the comfort of the user. Call us for repair , service , installation and purchase of any kind of AC. We will make sure to offer you the best quote from the industry.